The fairest of Motor Trend video hosts receives professional training in high-performance driving, giving her the skills to tame the Corvette ZR1. 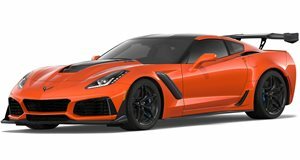 In Motor trend&apos;s latest episode of the J-Turn, Jessi Lang heads to the Bondurant School of High-Performance Driving in Arizona, where professional drivers school her in the art of piloting the beast that is the 638-horsepower supercharged V8-powered Chevrolet Corvette ZR1. The first course of action is time spent in a Pontiac G8 skid car, where seasoned pro Darren Law simulates understeer and oversteer and instructs Lang on how to handle the two crucial elements of car racing. A session of autocross is then followed by time on the track, where the lovely Lang is able to apply her new skills, including heel-toe rev-matching and line technique, into practice.